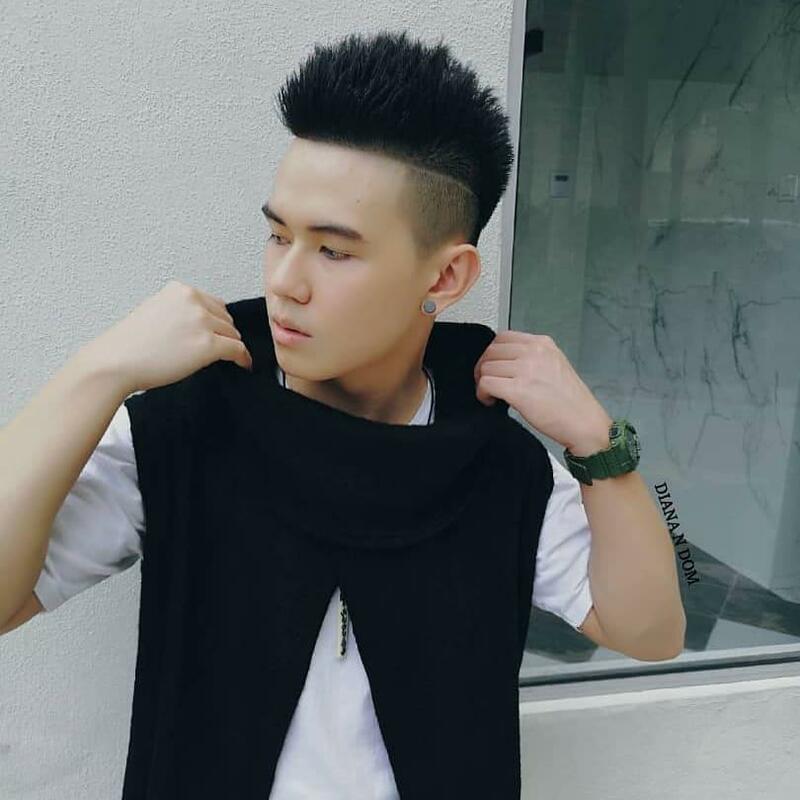 New trends are pushing teenage guys to look for their own style to emphasize the individuality and character. 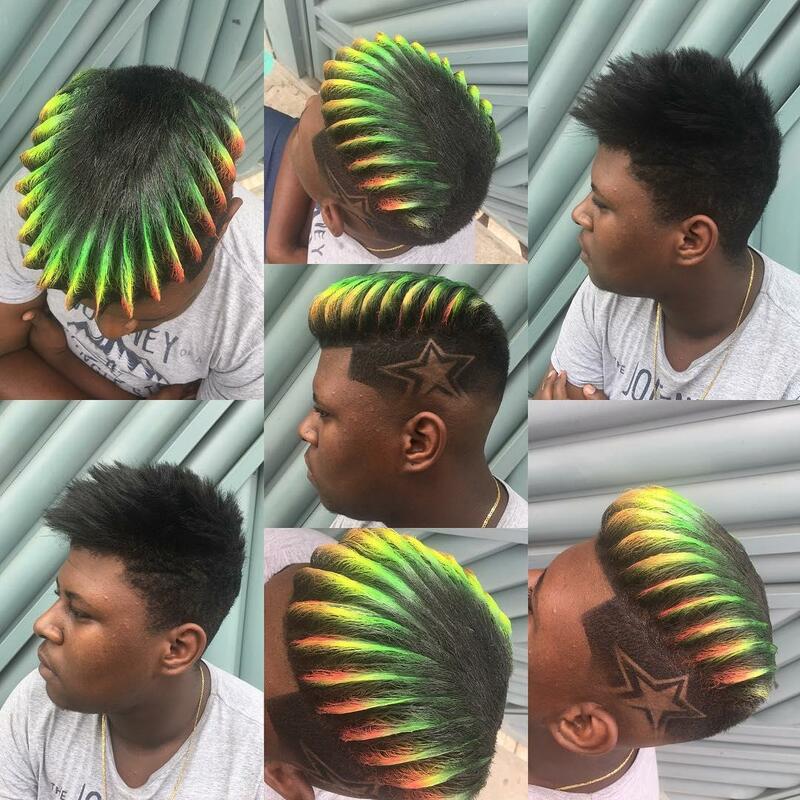 Now fashion has totally changed, the hairstyles have evolved too. 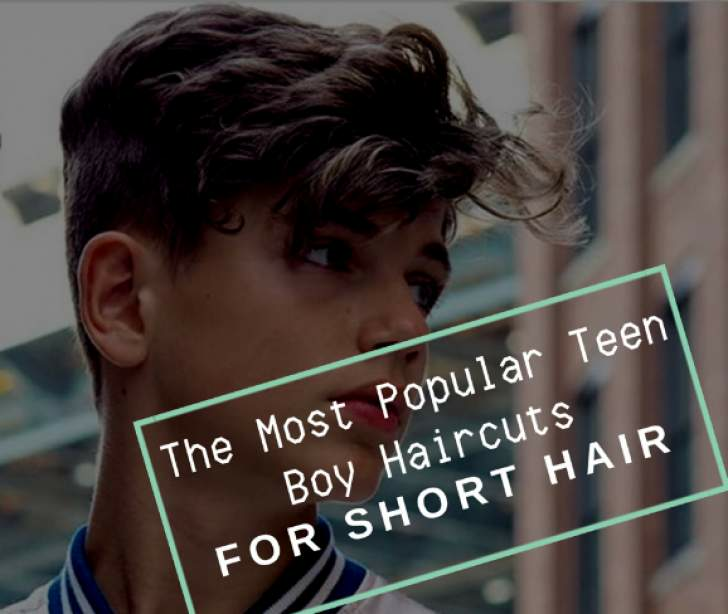 From stylish short cuts to cool long hairstyles for teenage guys - there is a huge variety of ideas how to create the unique look. 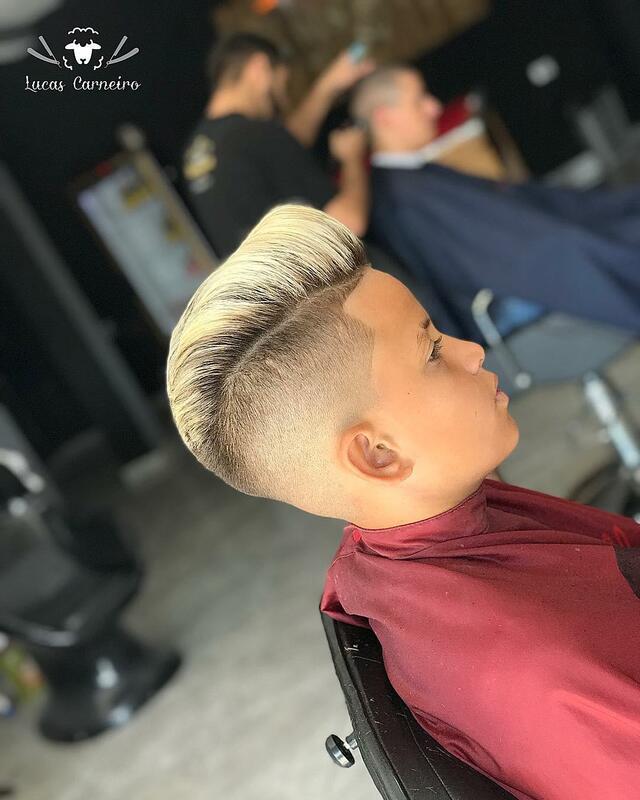 And don't worry if you have thin or wavy unruly hair: there are different options of styles, depending on your hair type. You will surely find your ideal cut and look good. 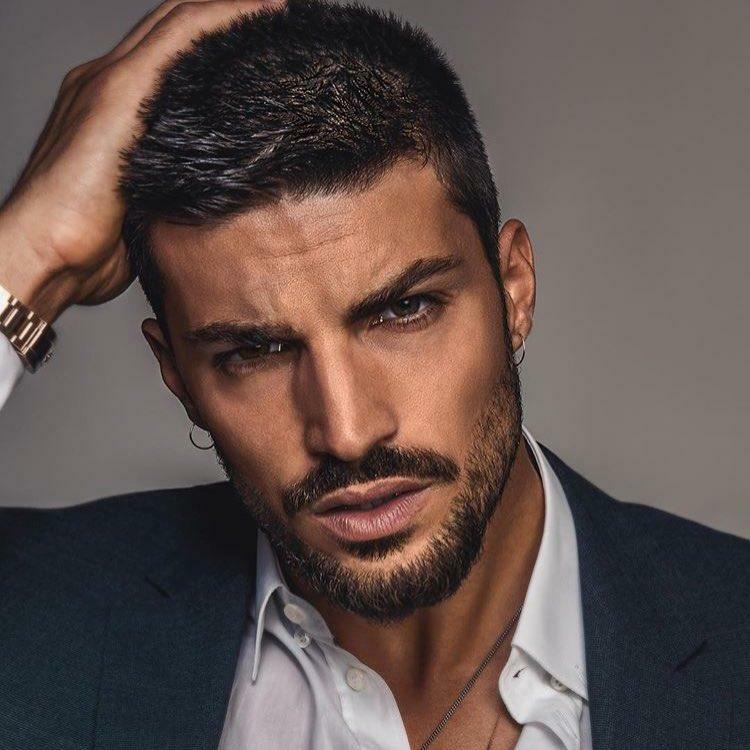 However, whether you wear a short or a long hairstyle, remember to have your hair trimmed on a regular basis to keep it clean and neat. 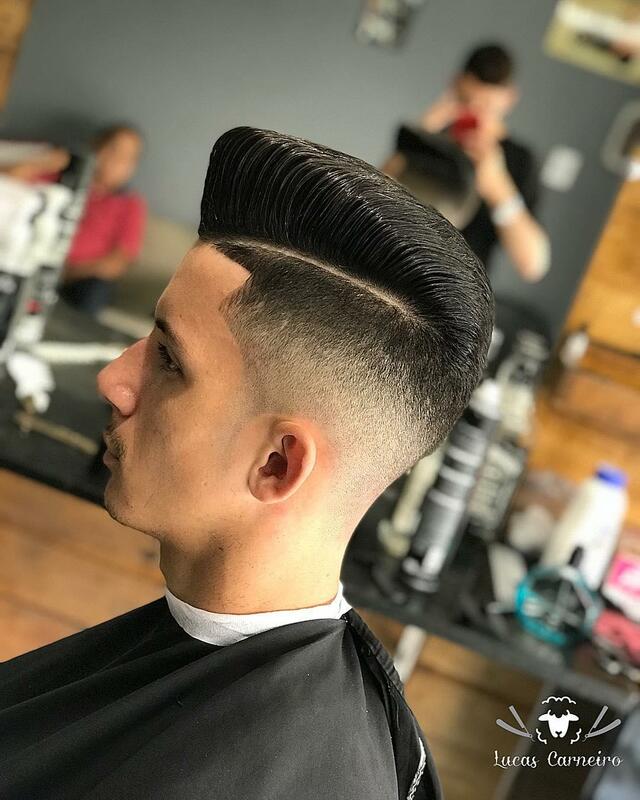 If you’re interested in a popular hairstyle that’s transcended the time, quiff and its variations for curly, straight or wavy hair may be perfect for you. 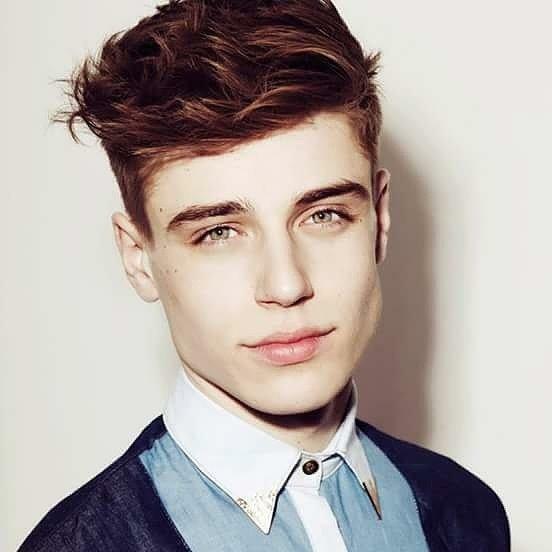 Particularly, quiff is one of the most win-win hairstyles for blonde teenage guys. 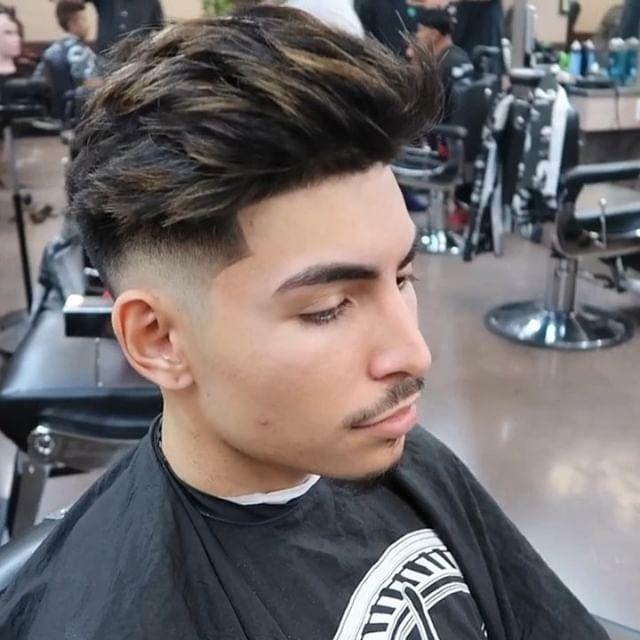 The undercut works great both for curly and straight hair. 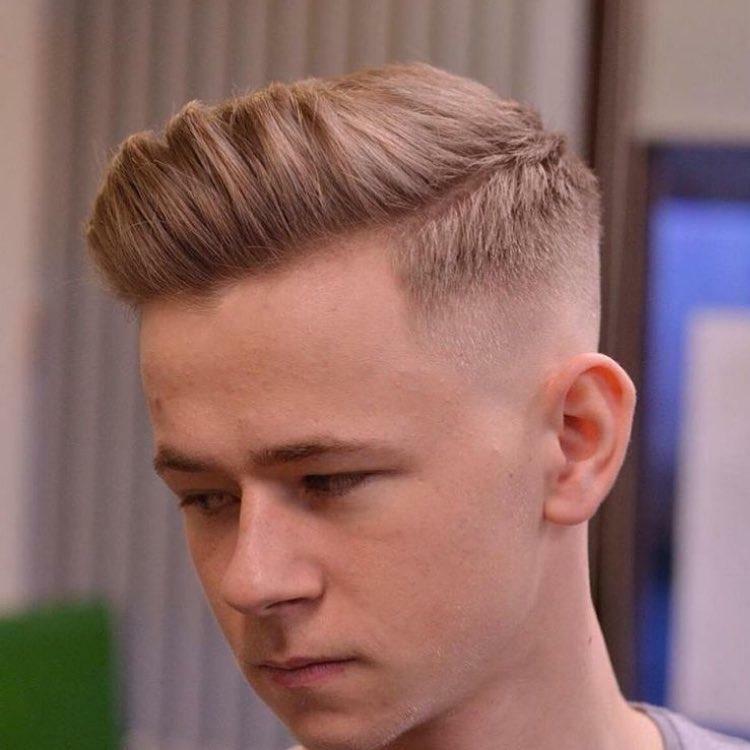 This style needs a lot of styling with gel or mousse and demands to be maintained by shaving daily. 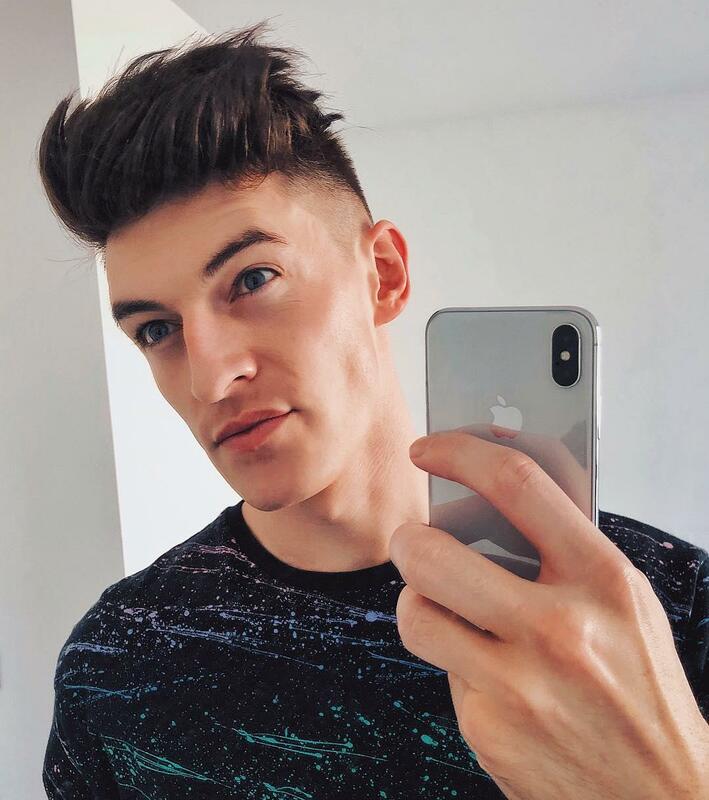 It works best with strong jawlines and long faces. 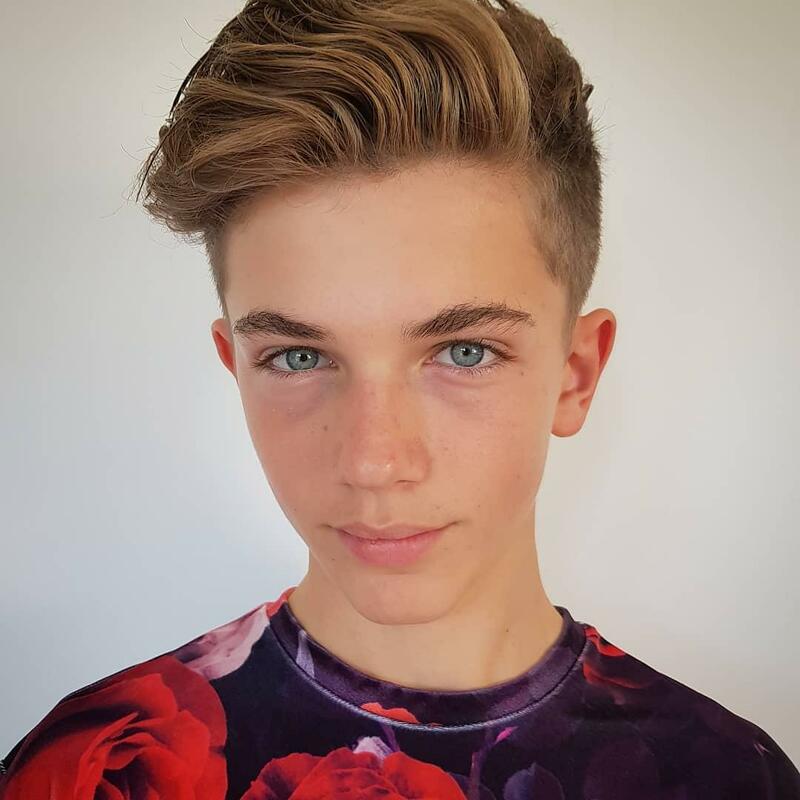 It is perfect for older teen boys who want to maintain an elegant image. 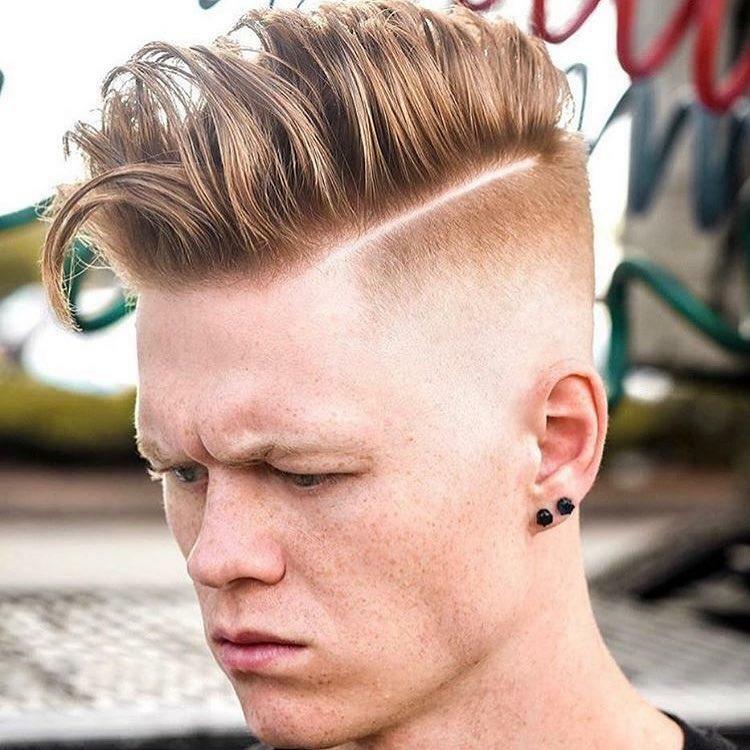 This cut takes a lot of maintenance and a lot of gel. It works best with strong cheekbones, round faces, and short foreheads. It visually lengthens the round shape of the face, thereby correcting its shortcomings. It’s a lovely choice for classy teen boys. 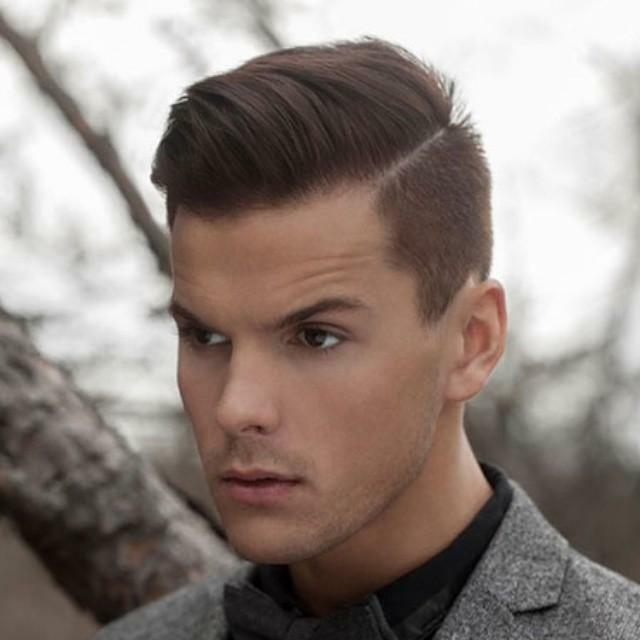 Guys who want a sharper look should consider the comb over fade haircut as it is best suited for this. 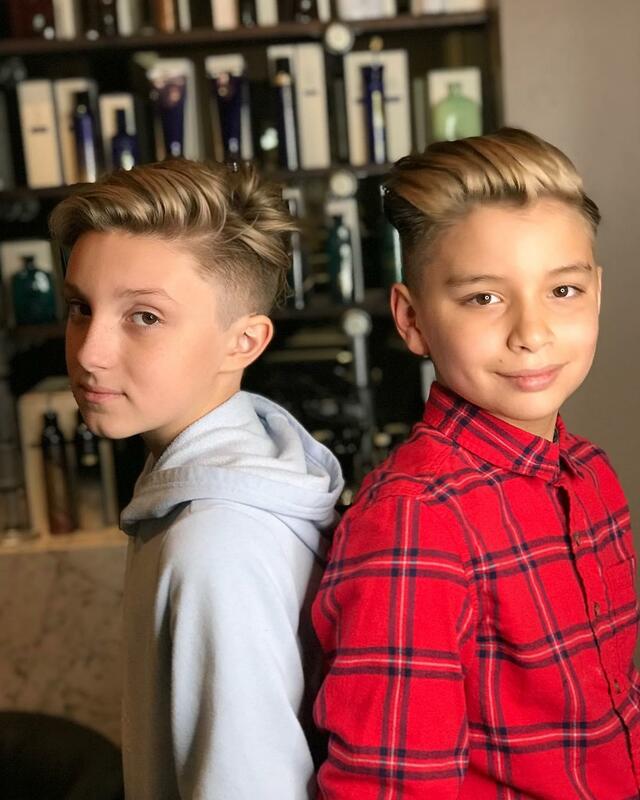 So, if you’re looking for some dapper haircuts, the comb over fade variations are probably the best trendy teen boy hairstyles. 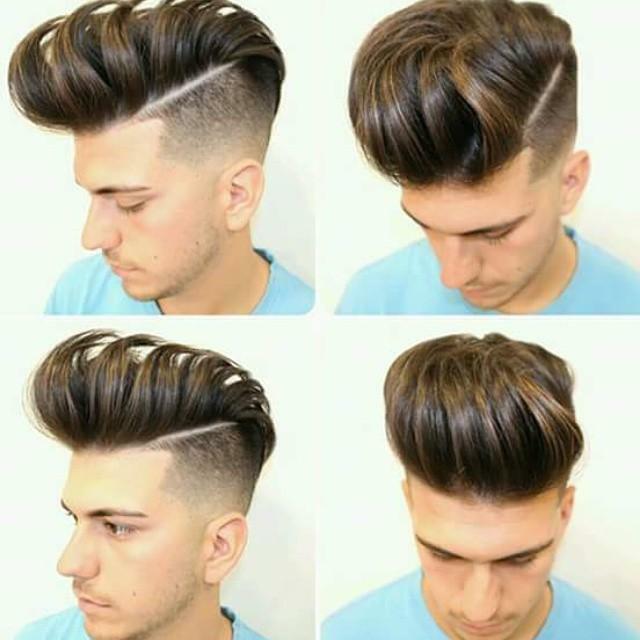 Just work a low shine or matte product through your hair and comb it over to one side. 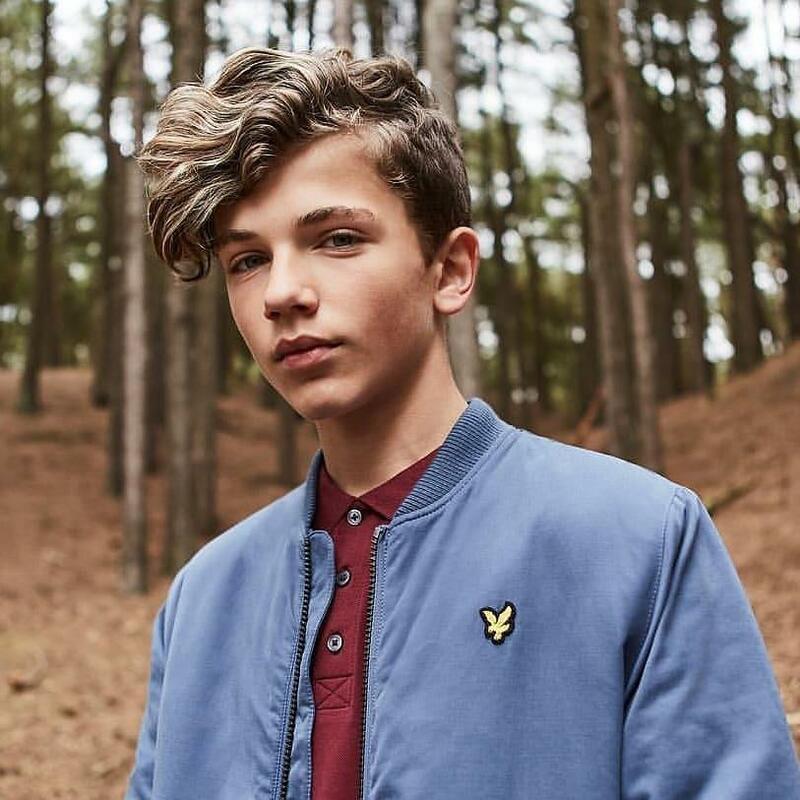 There is a classic and timeless style, that is one of the best choices for boys. 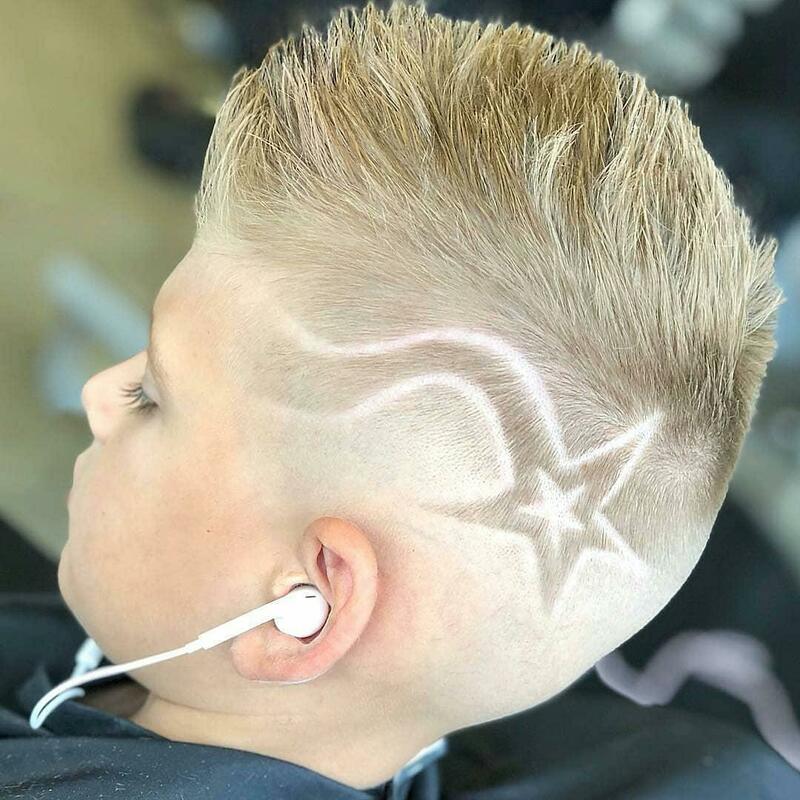 This haircut is ideal for athletic and active boys and suitable for any outfit. 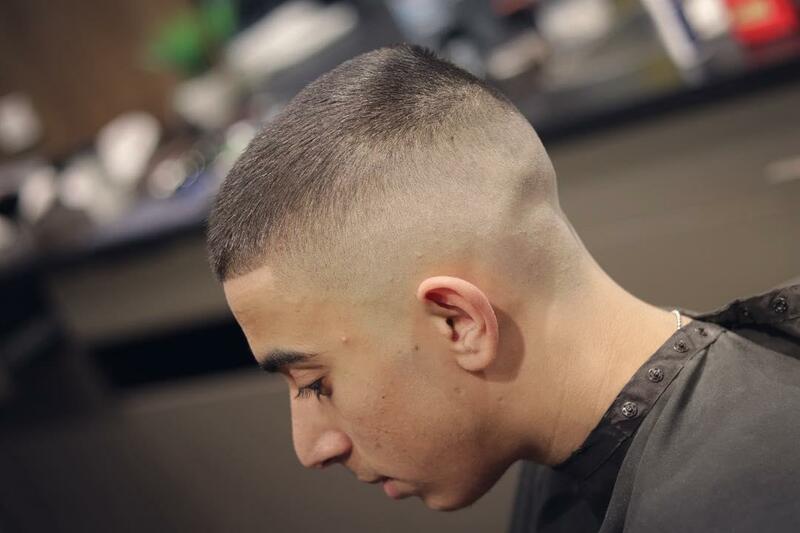 The crew cut makes the face more defined and works greatly with all kinds of face shapes. 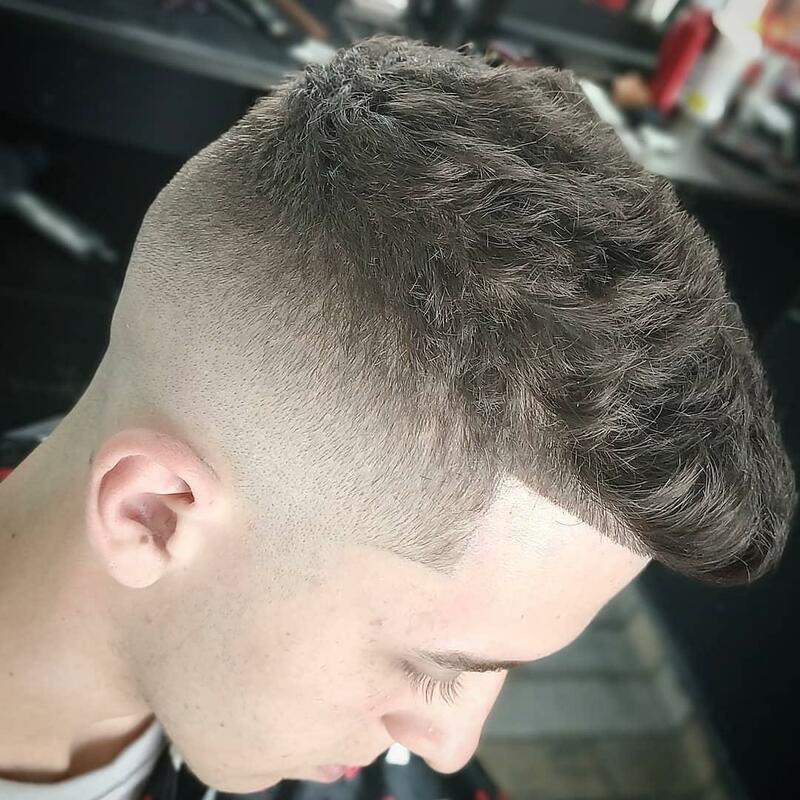 A good-looking haircut with curly hair and a high skin fade creates a sharp contrast with the thick curly hair. Use a medium hold beeswax to give extra bounce and life to your curls. 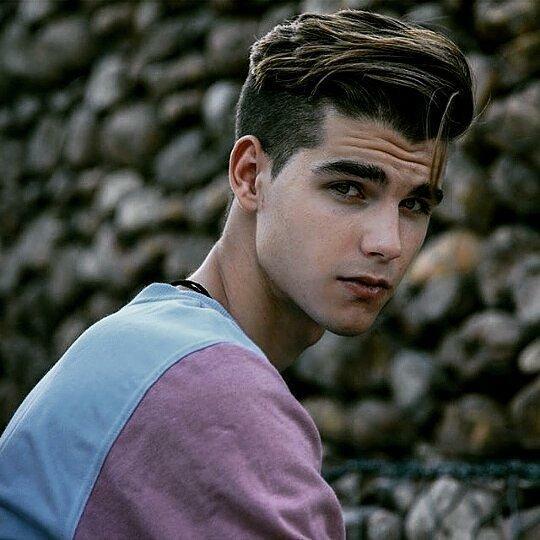 Curly undercut hairstyles for guys look very attractive. 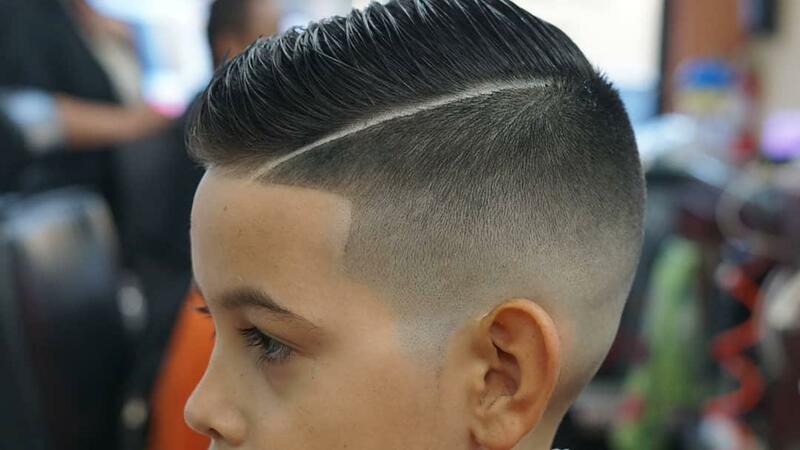 Like the undercut, it’s for boys who want a sharp, clean appearance. 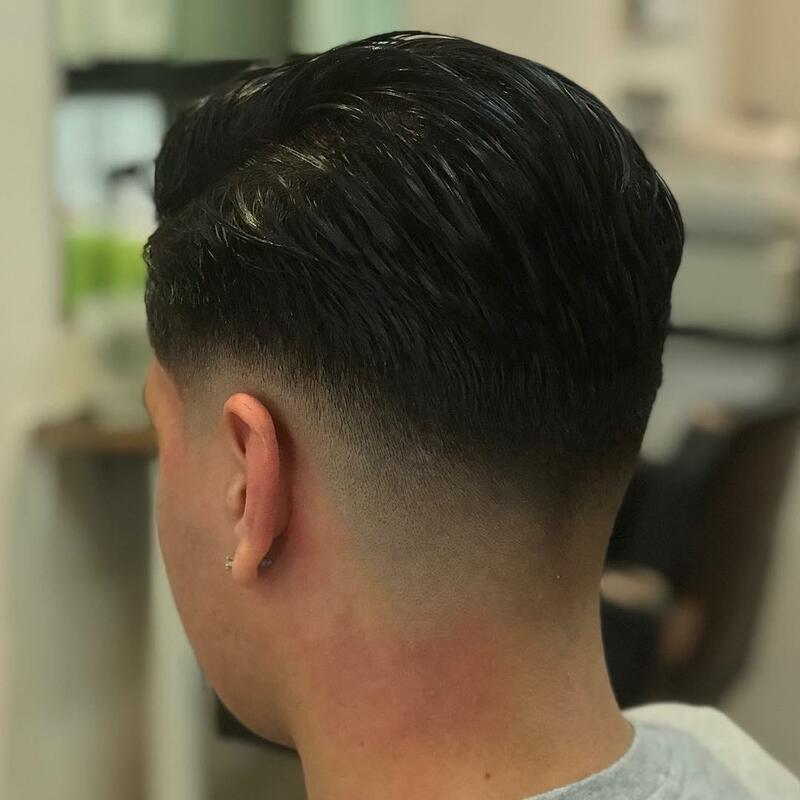 The side part will continue to be a classic gentleman’s hairstyle, and with so many different styles and looks, it’s a cool haircut for any guy. 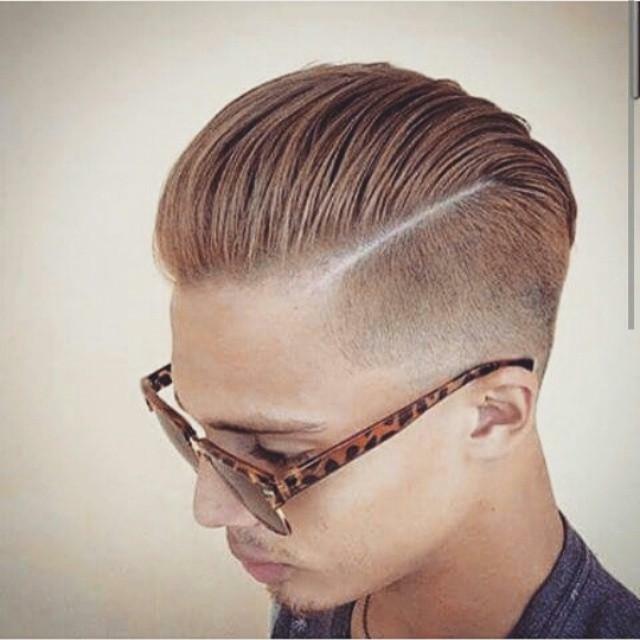 The side part is one of good-looking hairstyles for blonde teenage boys. 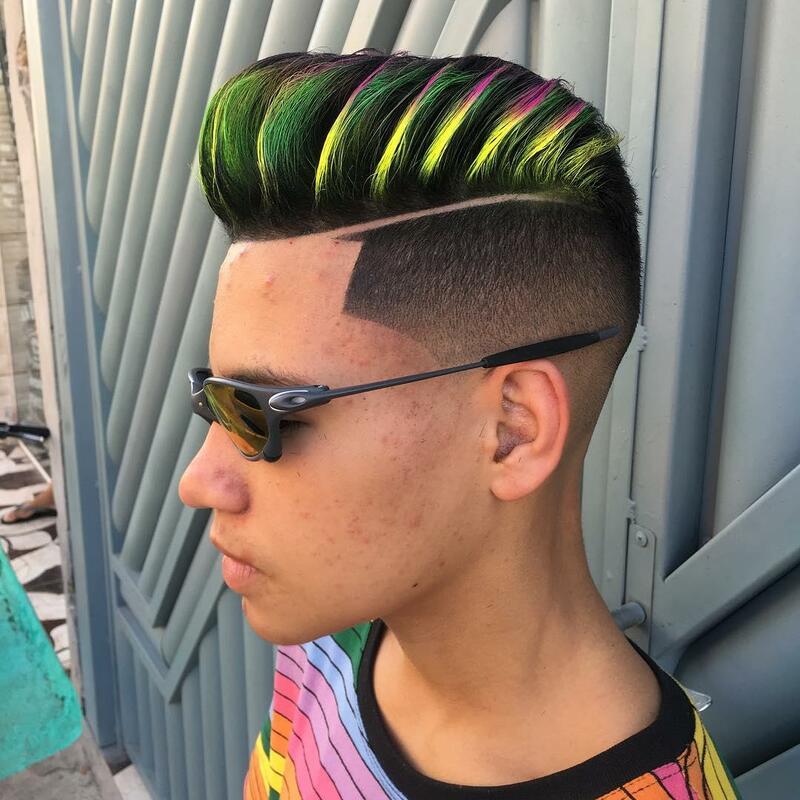 Usually, this style works best with mousse. The haircut takes little care and all it needs is a quick touch of the styling mousse each morning. Since a wind-blown look is the basis of this style, it does not take a lot of sculpting. 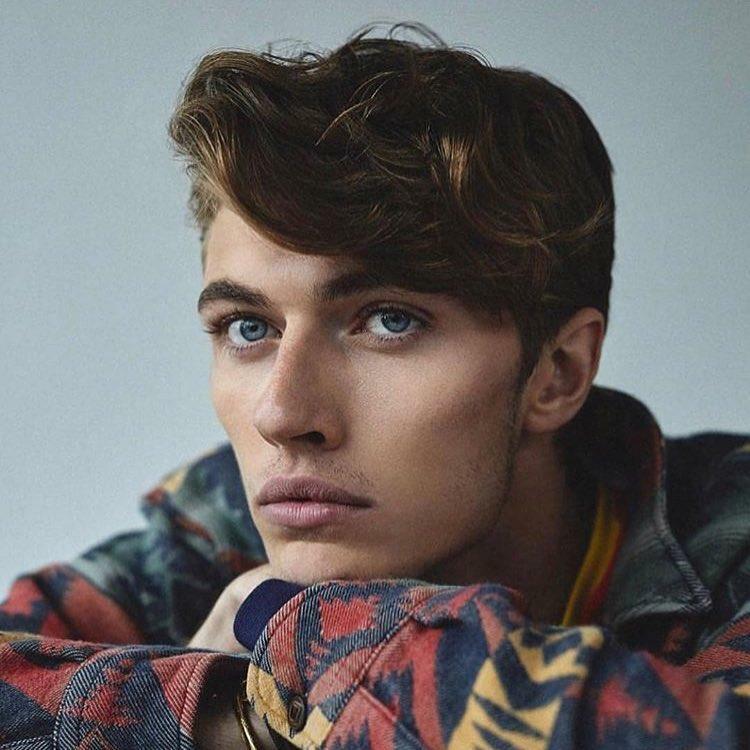 The style works best with short foreheads, strong jawlines, and sharp cheekbones.